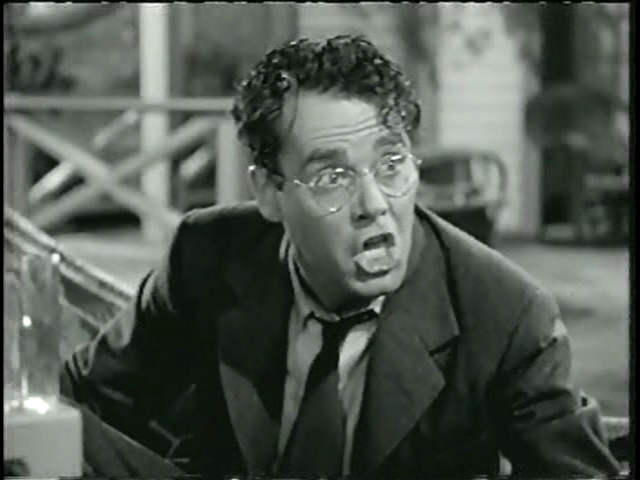 Professor Turner (Henry Fonda) is warned by his supervisor (Eugene Pallette) that he cannot read a letter by a controversial anarchist in his class or he will risk losing his job; meanwhile, his wife (Olivia de Havilland) is courted by a returning football star (Jack Carson), and Turner finds his sense of masculinity sorely tested. This dated but amusing comedy about censorship in academia — as well as what it means to be a “real male” — is based on a 1940 play by James Thurber and Elliott Nugent, and was directed by the latter. Henry Fonda is well-cast as bespectacled Professor Turner, who finds himself increasingly put upon in both career and marriage, and must eventually decide to stand up for what he believes in and cares most about. 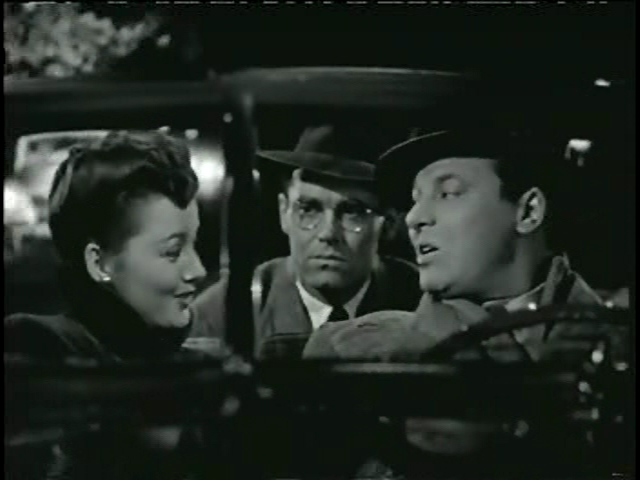 Even more enjoyable than Fonda, however, is the ever-reliable Jack Carson as returning football star Joe Ferguson — Carson manages to present Joe as a realistic threat to Turner’s marriage without ever coming across as villainous or unlikable; his opening greeting with trustee Ed Keller (nicely played by Eugene Pallette) is priceless. Audiences today will likely have no idea who the controversial writer in question (Bartolomeo Vanzetti) is, but this shouldn’t affect one’s ability to appreciate the underlying dilemma at stake. Time has not been kind to this movie – nor, I suspect, to writer James Thurber, in general. The two main subjects explored here may have had more bite at the time the original play was produced but, overall, the film is downright stale, and the humor is much too quaint, wordy and forced. What first appears to be the main storyline (the protection of free speech) is more or less jettisoned until the end of the picture – when it augments the less interesting and overplayed ‘brains vs. brawn’ subplot. I don’t feel anyone manages at all to salvage the strained material. Halfway-through, it starts becoming repetitive and tiresome.